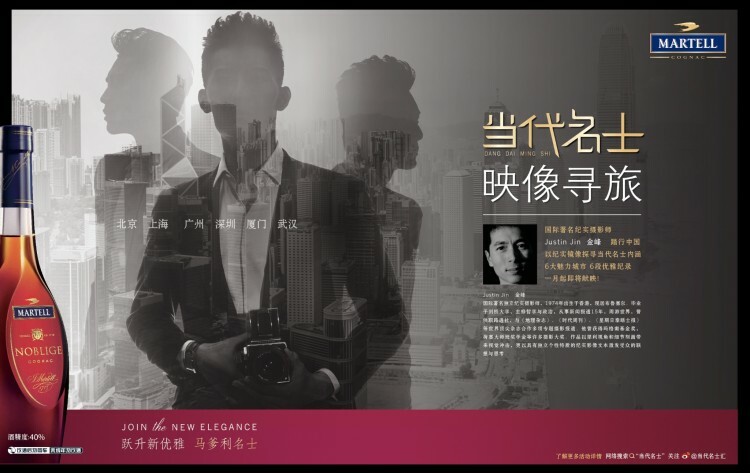 I flew into Beijing with the TBWA team to meet Lu Chuan, the first of my six subjects for Martell’s Join the New Elegance advertising campaign. I want to get to know the internationally-acclaimed film director and uncover interesting tidbits to base his profile on. 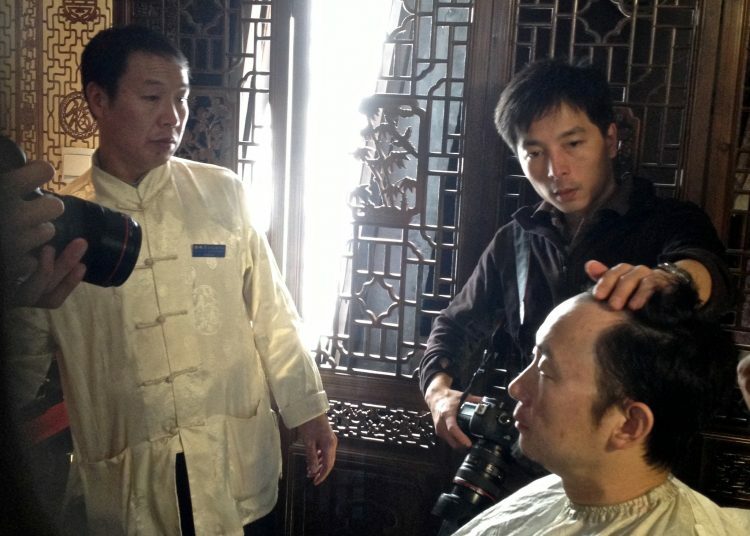 When Lu mentioned he shaves his head before starting every film, I asked if he’d be willing to re-enact the scene at an old barber shop in Beijing. Lu said yes, and the client, Martell, liked the idea. I wrote the story baseline for the video, magazine advertorial, and photography exhibition. Martell approved, and everything was in motion. But just before the shoot, Lu’s agent and brand manager completely protested my touching his hair. With his latest masterpiece, “The Last Supper,” launching that month, Lu had to be on multiple magazine covers. A shaved head wouldn’t do. With the clock ticking towards our launch hour, a stand-off ensued. After investing a huge amount of money in a campaign, this is just the sort of situation that makes a client’s heart pound. But this is also the kind of thing that allows for magic in a shoot with real people and real stories. In the end, we agreed to shave just the very front of Lu’s head. I had to find a way to make the image dramatic with just a few centimetres to work with. Eliza Wong, TBWA’s Creative Director who initiated the documentary idea, was at first nervous about how the unconventional campaign would pan out. Martell launched the 2013 campaign to show how the cognac brand relates to real lives. 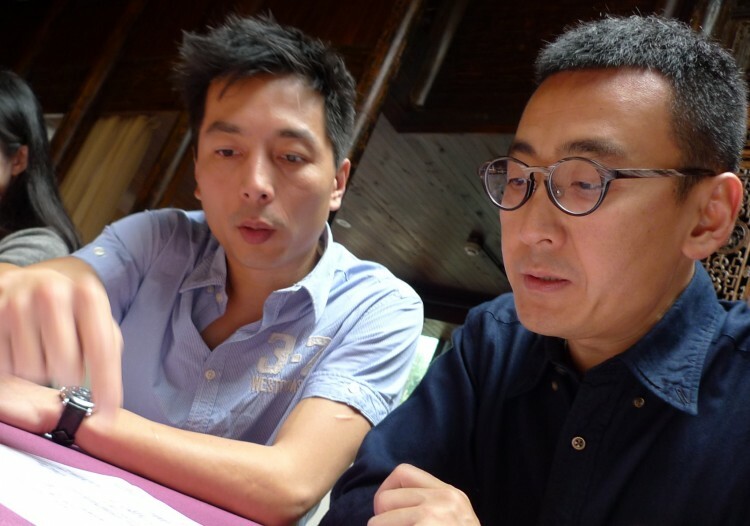 With my cross-media documentary experience, TBWA recommended me to lead content creation — in text, video and photography, directing the six-city, multiple-team production across China. Lu told me he stays fit by swimming in hotel pools on the road. 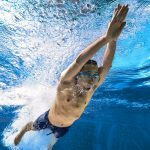 I stayed in the pool with an oxygen tank and the videographer for three days practising this shot. All six subjects were true pros, working extremely hard to see our vision come to life. Collaborating with real people, not models, gave me amazing substance to draw from. Dou Wentao, another big name in China, hosts China’s longest-running talk show. Dou is known as a man-of-the-people for his streetwise observations and barbed comments. Trying to get inside his head during our planning discussion, I asked Dou for his biggest fear. 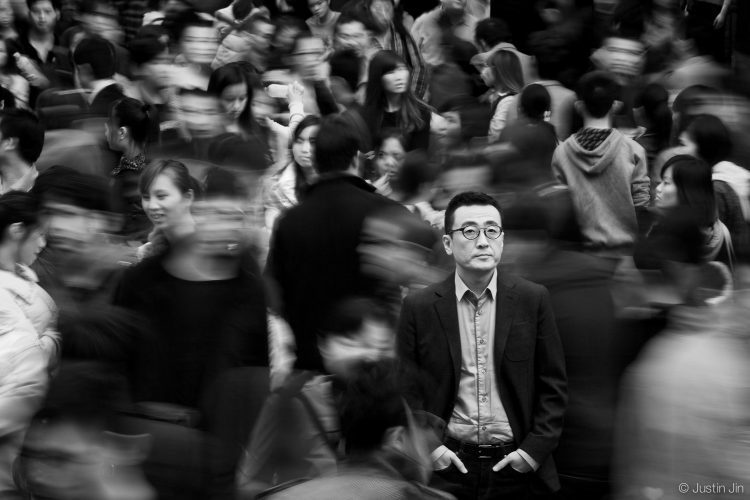 “Street crowds,” he answered, leery of mobs as a celebrity in the megacity of Shenzhen. With that answer, Dou had unwittingly put a perfect image in my head. I imagined the contrast of this superstar calmly staring out from a dense crowd would show he’s not just a man of the street, but also one soul in a million. We formed a ring of assistants and colleagues walking quickly around Dou, like ducks circling a freezing pond. 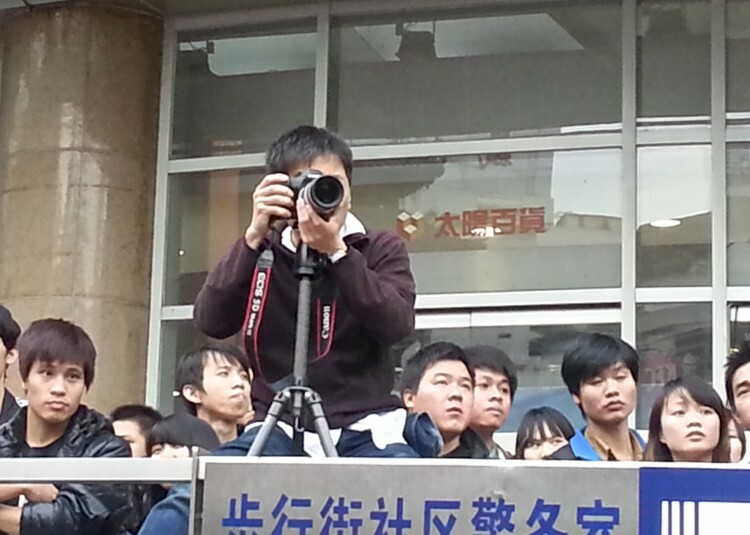 They deftly prevented anyone in the crowd from getting close to, or even noticing, Dou. I and my team shot from far away to avoid drawing attention. The project involves a lot of teamwork, and everyone at Martell and TBWA was supportive all along. On the last day’s shoot in Shanghai are the Martell and TBWA teams and our video crew.